607'6" by 57'8" by 18'7"
1943-2: Replaced one 8" turret and 13mm guns with 2x3 25mm guns and 4 depth charge racks (12 depth charges). 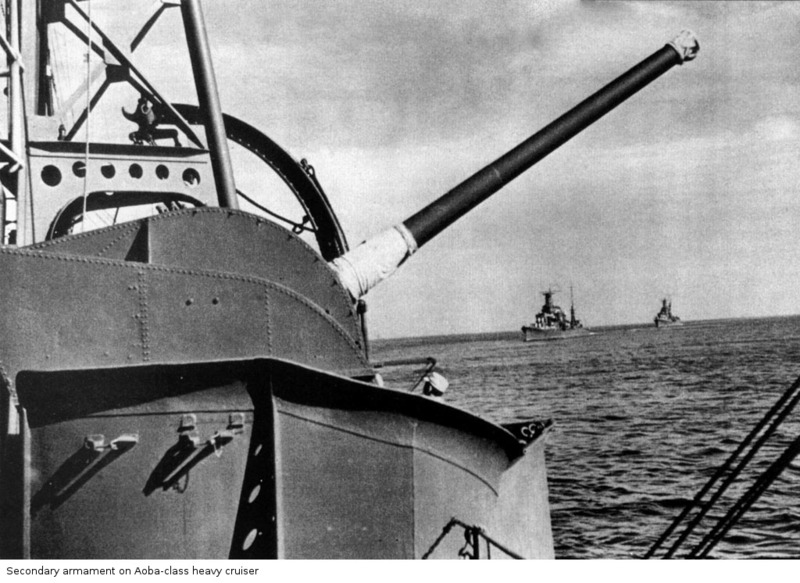 1943-11: Restored the 8" turret. 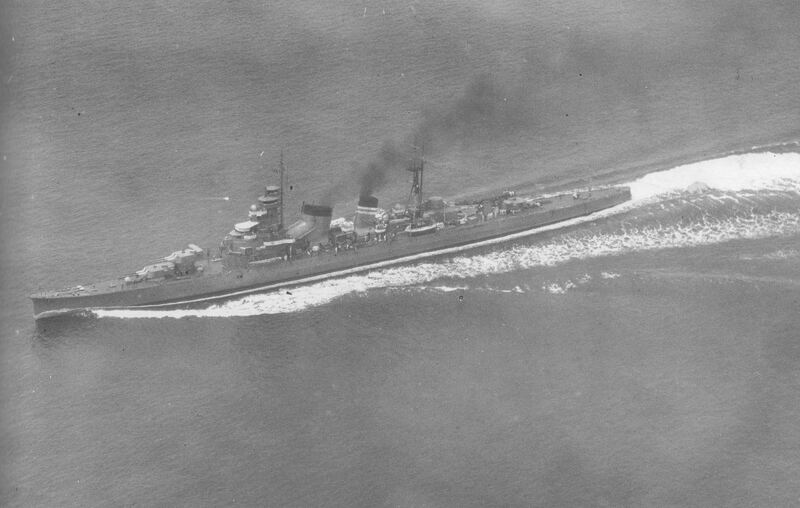 Added 1x3 and 2x2 25mm guns and Type 21 radar. 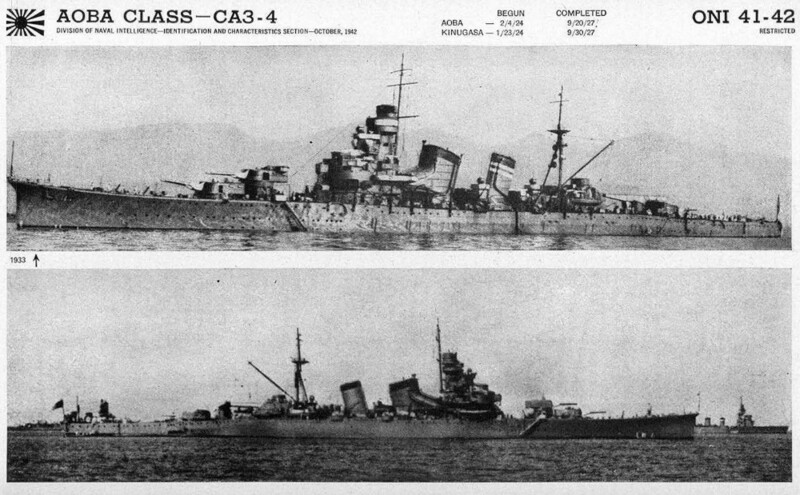 1944-7: Added 4x3, 15x1 25mm guns and Type 22 radar. 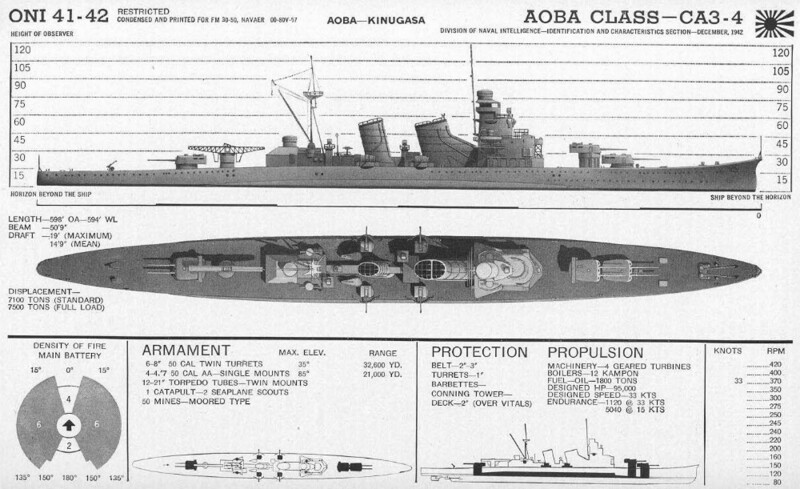 1945-3: Added 4x2 25mm guns and increased depth charge loadout. 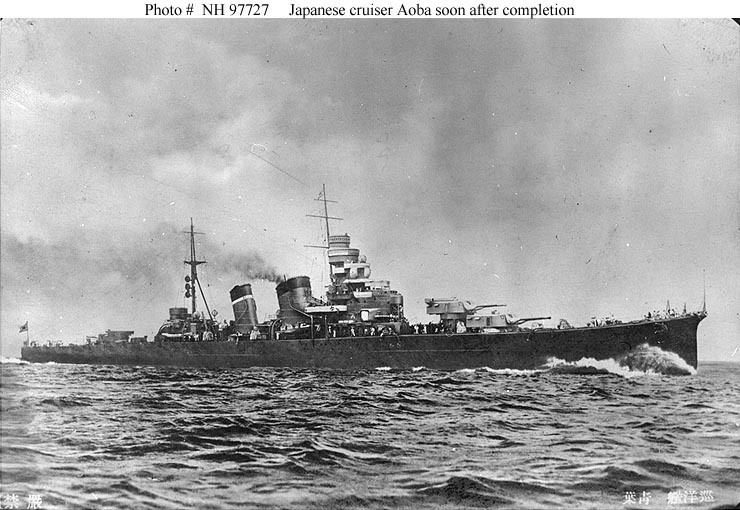 The Aobas were completed in 1927 and incorporated a number of lessons learned from the preceding Furutakas, such as the desirability of twin main gun turrets. 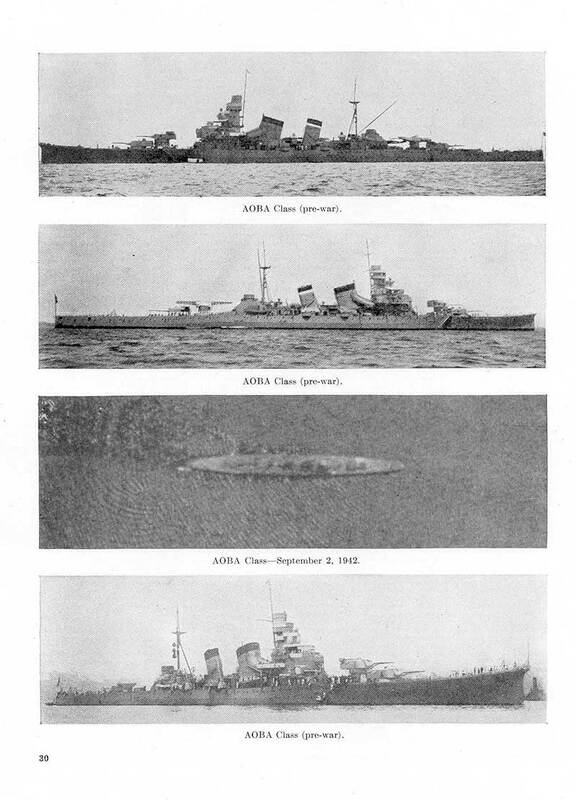 However, these proved too heavy for the hull, which had to be reconstructed to take the weight. 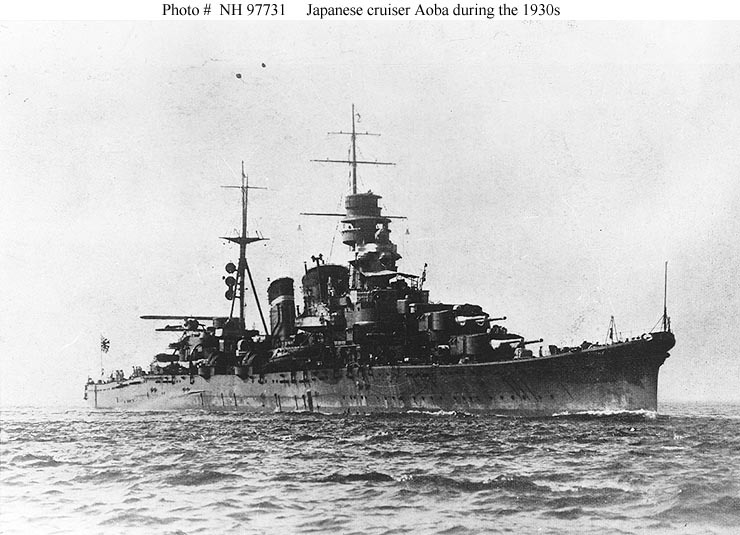 The Furutakas were later modernized to very closely resemble the Aobas, which were themselves modernized in 1938-1940.